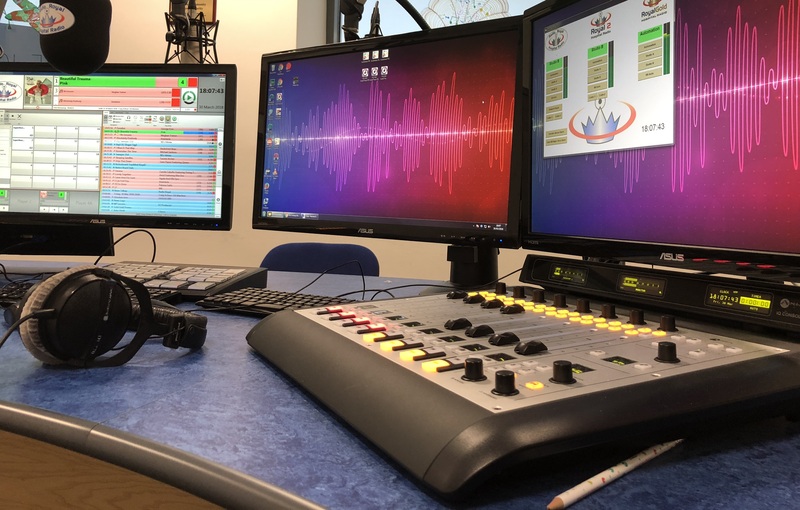 After going on the air in 1977 and calling several hospitals home through the years, Radio Royal settled in at Forth Valley upon its opening in 2010. Having celebrated its 40th anniversary last year—and having outgrown some of its equipment—it was time to make the move to AoIP. As the station’s lone technical guy, the search for new gear fell on Craig. “We started off to try and find the best AoIP console our budget could afford,” Craig explains. “For a nonprofit, it’s quite hard to upgrade studio facilities from analog to digital.” After a bit of looking around the market, Craig settled on the Axia iQ console and Livewire®. “It really future-proofs a lot of our stuff,” he says. 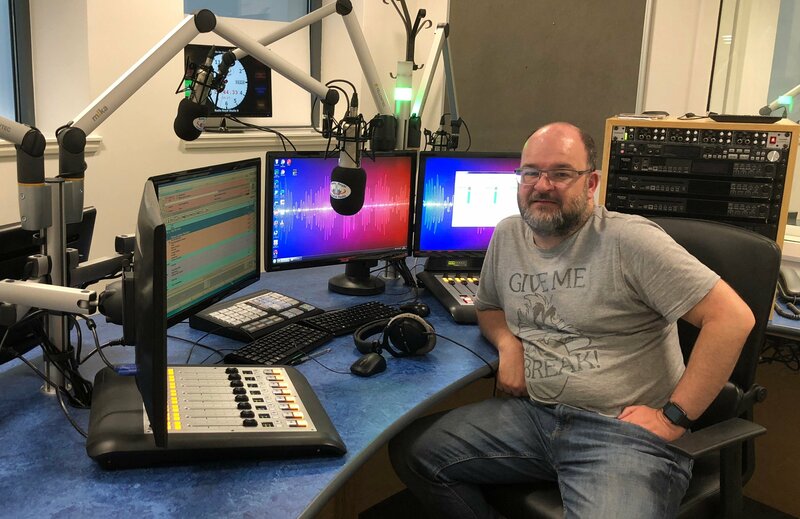 Craig fell into the engineering role some years ago after he started visiting the station with some of the presenters. “When I was about 20, Radio Royal was looking for new blood, so I came along one evening. I've been here 21 years now,” he explains. Over time he took on some of the engineering work and has looked after the station ever since, though he says the job hasn’t kept him quite as busy since adopting Axia. “Now that I've got things shiny and new, it's usually just conflict errors or user errors that tend to be easy to rectify. A lot simpler to fix than it used to be. Axia really frees up my time,” he adds. Running Livewire throughout the facility gave Craig more time to focus on other concerns, like look for a new audio processor. As it turned out, Livewire helped point the way there, too. “The fact that the Omnia VOLT has Livewire by default is great. 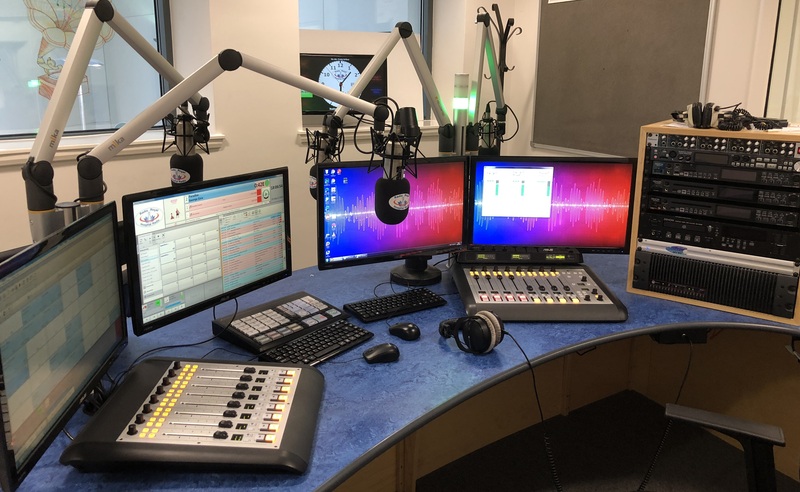 We just plug the network cable in and it just works.” He says the VOLT fit the budget and was a good choice not only for Radio Royal’s over-the-air signal, but also their two additional streaming options, Royal 2 and Royal Gold. With more upgrades on the horizon, Radio Royal has been thrilled with the iQ and the flexibility Livewire provides. “We've got plans for one more studio, but it wouldn't be fully equipped. It's more of a production area and office rather than a full, kitted-out studio. Once we've got that, we'll be at a level where we've achieved the ambitions we set for ourselves,” Craig explains. Correction: The 1/31/19 Edition of our biweekly Direct Current newsletter indicated that Omnia VOLT was Livewire+ AES67. It is actually Livewire, not Livewire+ AES67. We apologize for any inconvenience this misprint may have caused.